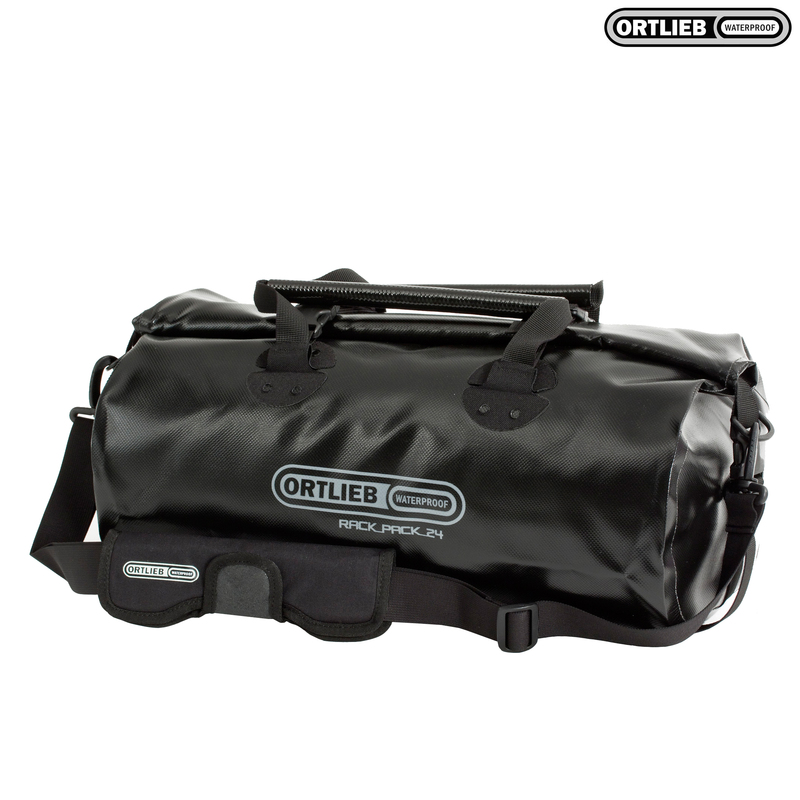 This 100% waterproof travel bag has all the advantages of an easy to use dry bag, its flexible & variable packing volume adjusts to any situation & takes all the gear for travelling & sports. The roll closure with stiffener bar has its roots in stuff sack technology. It fits perfectly into bike trailers & sizes S or M can be combined with Ortlieb Back- & Front-Rollers Plus & Classic on the rack for bike touring. This robust multi-talent bag is also good on motorcycles. Comfortably carried with adjustable padded shoulder strap & carrying handles. Are there straps/fittings available to mount this independently of panniers? Is this no longer available in white? Unfortunately, it is no longer available I'm afraid. How does this attach to the rack? For rack fitting this bag needs to be combined with Ortlieb's panniers as it clips/straps to the top of the bags to hold it in place. If you want to fit it just to the rack you will need to use a set of additional straps to do so.